The new order will fine public consumption of intoxicating substances. A new protection order to curb anti-social behaviour in Northampton will go live this April. 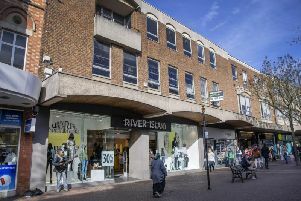 The town centre's first Public Spaces Protection Order aims to protect the town by prohibiting actions that 'disrupt the quality of life' for people in Northampton, the Borough Council say. 100 fines will be given out for a range of anti-social behaviours. It follows a consultation last year where residents and businesses raised what behaviours upset them to see the most. Issues included public urination and defecation, keeping dogs on leads, dog fouling and drinking or doing drugs in a public place. Once the order is live there will be an initial period of awareness raising and education, with signs installed around the town. After this period, anyone breaching the order would face a £100 fine or prosecution. The order follows consultation with Northampton businesses and residents about what behaviours impact their quality of life the most. Cllr Jonathan Nunn, the Leader of the Council, said: “Anti-social behaviour can have a really negative effect and is not acceptable, so the implementation of our first Public Spaces Protection Order is a really positive move forward to improving our town centre. The order replaces the existing Gating Orders, Dog Control Orders and Designated Public Place Orders. Dog fouling will also be fined.